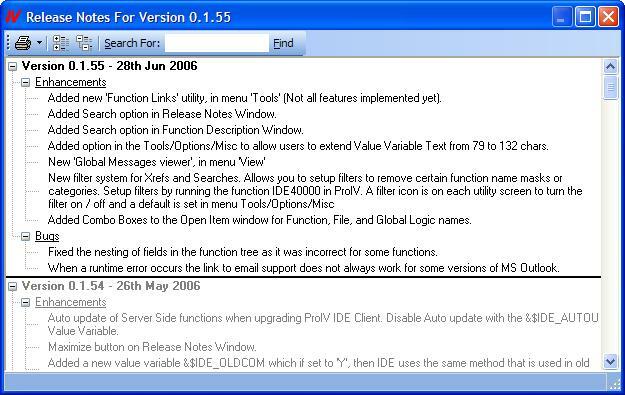 There is a new release of ProIV IDE out now, v0.1.55. If you were running client 0.1.54, then the server should upgrade automatically also. Added in this release is the new 'Function Linkage' utility. There is a screen shot below, to show what this looks like. 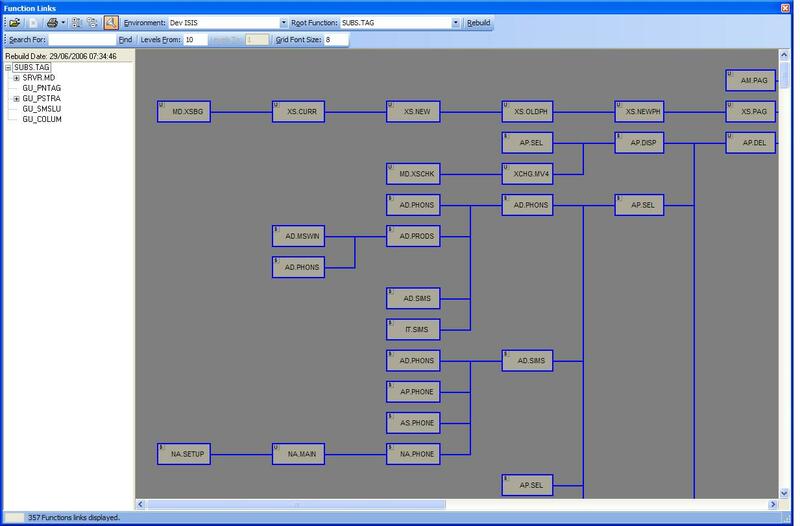 This is the first release with the function linkage utility, so there are a few items / features that I have not included yet. For instance, I have to add @TFUNCT support, Setting @LFUNCT in Global Functions, and User Defined notes per function. These will be added in the next release. Any questions, just give me a mail.